On the ground in open forests. 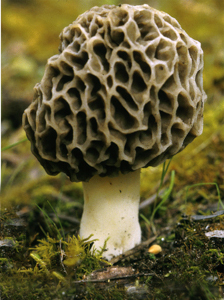 The yellow-grey head of this distinctive species is rounded to ovoid with an irregular arrangement of ridges and pits. The sturdy stem is cream and swollen at the base.